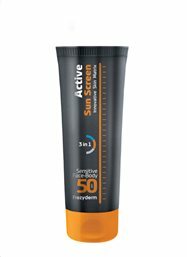 ACTIVE SUN SCREEN range is one step ahead of all conventional sunscreen products, offering effective, broad-spectrum care with the most advanced photostable filters. 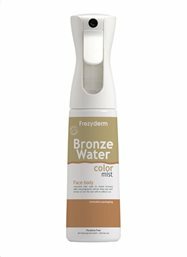 In addition, the use of special, cutting-edge active ingredients, provides long-term hydration, while their combination features powerful action against time-related aging and photo-aging. DETOX PLANT CHARCOAL (active carbon) innovation refers to a special black pigment that indicates the exact area of sunscreen application (without coloring the skin), securing even application and essentially, more effective sun protection. 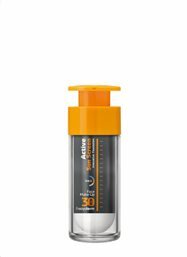 At the same time, ACTIVE SUN SCREEN has powerful detoxifying action, since the active carbon entraps environmental pollutants, microparticles, toxins, remnants of make-up and sebum, that accumulate on the skin throughout the day. DNA repair mechanisms are supported, to protect the skin stem cells and therefore delay the process of cellular aging. 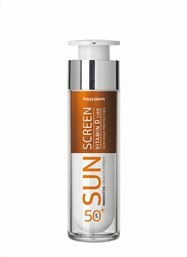 The innovative composition of ACTIVE SUN SCREEN range is enriched with Glycogen, a marine-derived polysaccharide that protects against the harmful environmental factors, such as electromagnetic radiation and free radicals. In addition, the precious, herbal, cotton stem cells create a protective shield against the solid atmospheric pollution particles. 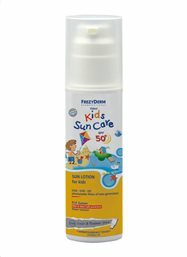 5) COLOR ADAPT PIGMENTS IN ACTIVE SUN SCREEN TINTED: ONE COLOR TO MATCH ALL. The technology of color adaptation to all skin shades, that our tinted sunscreens include, not only offers excellent color uniformity but also great coverage to all skin types. The P.I.P system products go beyond other skincare ranges by protecting the skin from UV rays and infrared and visible solar radiation. The next sunscreen generation is here! - Second Skin Technology, an innovative formula that allows the cream to become an invisible “second skin” with high protection and a velvety texture. 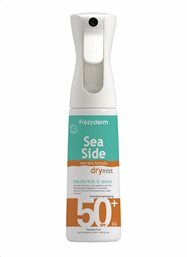 A velvety tinted, transparent facial sunscreen that melts into the skin. 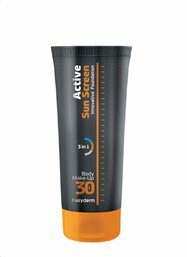 Active face sunscreen, a cream with very high protection. Offers complete sun protection, hydration and anti-aging action. 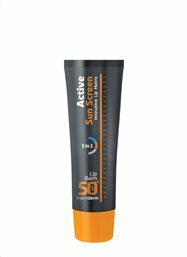 Active tinted face sunscreen, a cream with very high protection. Offers complete sun protection, hydration and anti-aging action. 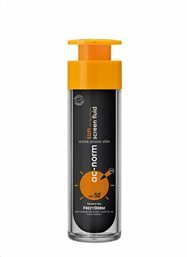 Active face sunscreen, a liquid cream with very high protection. 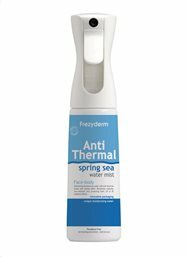 Offers complete sun protection, hydration and anti-aging action. 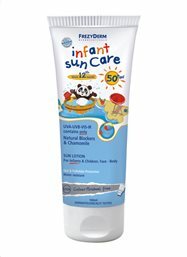 Active tinted face sunscreen, a liquid cream with very high protection. Offers complete sun protection, hydration and anti-aging action. 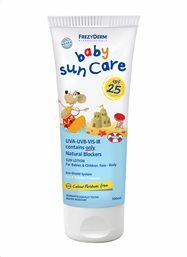 Active high sun protection for face and body. 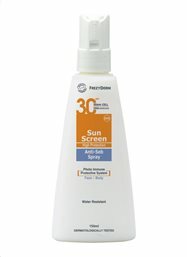 Provides complete sun protection, moisturization and anti-aging action. 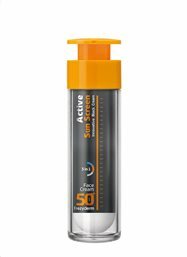 Active face sunscreen for the acneic skin which provides complete sun protection, hydration and anti-aging action. 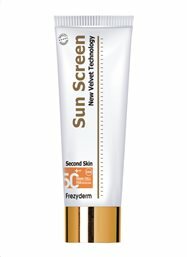 Active sun protection for the lips with hydrating and antioxidant action. 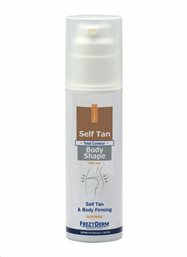 Active body sunscreen foundation for complete sun protection, hydration and anti-aging action. A sunscreen face cream which offers the benefits of vitamin D to the skin. 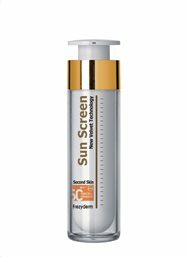 A sunscreen liquid face cream which offers the benefits of vitamin D to the skin.